Sushi at home is quick and easy! 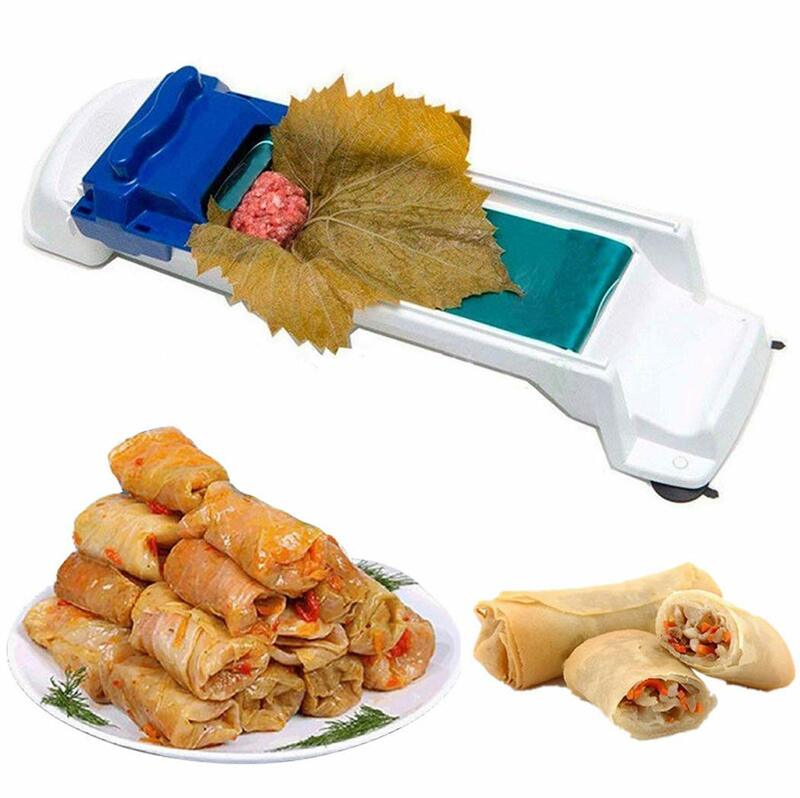 Now you can make your own stuffed grapevine leaves or spring rolls with this Vegetable Meat Roller. This filling machine will roll your vines with an easy push while you stuff it with meat or any other mouthwatering filling. Suitable for vegetables roll meat, sushi, etc. Place the roller on a flat area, the lever facing you. Lay the leaf on the roller-band and pull back a little with your fingers. Spoon the material inside the leaf, in the amount based on required thickness. Push the lever forward and viola it is ready to cook. Fast delivery. Very good product. The quality is very good. Thanks to the seller. ALL VERY FAST AND BEAUTIFUL. EVEN HAD TIME TO TRY… TURNS PERFECTLY! Delivered in time, all works fine, seller recommend, track, thanks to the Council. The seller sent the goods, Quality product, No broken. Good thing! My grandmother happy! You Can even adjust the thickness. Extremely fast shipping, fastest delivery then anything else so far Looking good. Made with high quality, we will buy again. Super!!!! fast delivery! Works great! Thank you! Amazing machine. Quickly made. Delivery fast. Packed very well. Spring will make Grape Leaf Sarma. Hopefully will get! Thank you! As the photo. Match the description. The Seller sent quickly. Received this morning . Thank you will do business again .